Why is John Kerry referring to ISIS as "Daesh"? After the Islamic State of Iraq and Syria emerged as a threat, U.S. lawmakers, the press and the public at large discussed whether to refer to the group as ISIS or ISIL (Islamic State of Iraq and the Levant). 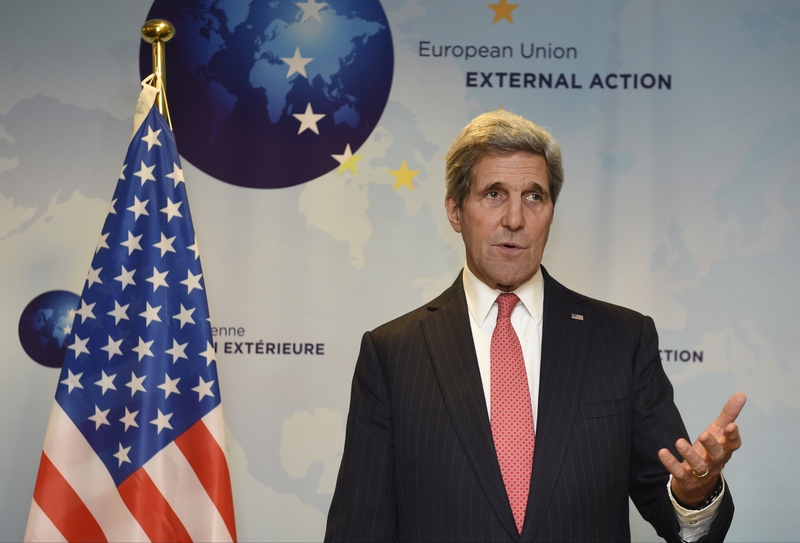 On Wednesday, Secretary of State John Kerry used both terms, as well as one more for the extremist group: Daesh. "In less than three months, the international community has come together to form a coalition that is already taking important steps to degrade and defeat ISIL, or Daesh," Kerry said from NATO headquarters in Brussels, Belgium, where he met with members of the international coalition united against ISIS. "Daesh is still perpetrating terrible crimes, but there was a consensus that the momentum which it had exhibited two and a half months ago has been halted," Kerry added. CBS News' Lara Logan notes that most Arabic-speaking people have always referred to ISIS as Daesh. "Daesh" is the pronunciation of the acronym for ISIS in Arabic (Dawlat Al Islam fi Iraq Wa al-Sham), CBS News' Jennifer Janisch explains. Kerry: We'll fight ISIS "for as long as it takes"
Janisch says Iraqis commonly use the name "Daesh" to refer to the group. She notes that it does sound like the Arabic word "daes," which means to crush something under one's foot, and which could be interpreted by ISIS to be pejorative. Additionally, the Iraqi government has recently begun referring to the group as "dookh" -- the acronym for "Dawlat Al Islamiya Al Khalifa." Since "dookh" sounds similar to the word for "confused," it also could be considered pejorative, said Janisch, who has spoken with sources in Iraq about the various names for the group. While the Obama administration typically refers to the group as ISIL, Kerry has used "Daesh" before, as has Retired Marine Gen. John Allen, the United States' special envoy to the coalition against the group. In September, the French government began using the term "Daesh" and urged others to do the same. "This is a terrorist group and not a state. I do not recommend using the term Islamic State because it blurs the lines between Islam, Muslims and Islamists," Foreign Minister Laurent Fabius said in a statement. "The Arabs call it 'Daesh' and I will be calling them the 'Daesh cutthroats'."